In the course of the PhD Support Programme EUCACIS, an international conference and PhD School took place from 3rd to 8th July 2017. The goal of both events was to provide the selected PhD fellows from Central Asia and the South Caucasus with the opportunity to present their PhD projects, deepen their understanding of current challenges and developments in the respective regions and to widen their networks. 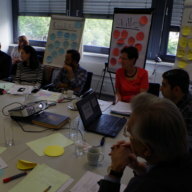 The EUCACIS programme is organized by CIFE and the Institute for European Politics (IEP) and funded by the Volkswagen Foundation and Erasmus+. 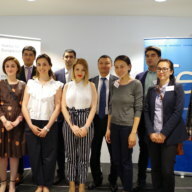 During the 2-day-long conference, the focus was on geopolitical change in Central Asia and the Southern Caucasus and the future role of Europe in that region. H.E. Ambassador Peter Burian, EU Special Representative for Central Asia, offered an intriguing glance into the EU’s strategy for Central Asia, which he assessed as a „magnitude of challenge“. In particular, he emphasized the EU’s effort to support Central Asian states in enhancing administrative capacity and building up domestic economies which currently suffer from low oil prices, shrinking remittances and a lack of reforms. Moreover, the EUCACIS fellows were able to witness panel debates between scientists and practitioners from the respective regions and discuss their PhD posters with the conference visitors during lunch breaks. During the four days of the PhD School, the EUCACIS fellows received thematic and methodological input from selected experts and had the chance to present their PhD projects to EUCACIS staff as well as to get individual feedback. 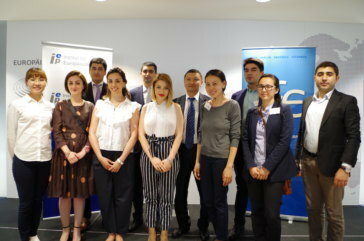 In addition to lectures on „International Relations Theory“, „Democracy Theory“ and „Comparative Regionalism“, the focus was on the design and publication of a policy paper which the fellows have to write in the course of the EUCACIS programme. For half of the fellows, the PhD School is followed by a 3-week research training stay during which they can make use of CIFE / IEP facilities and resources to conduct their research. 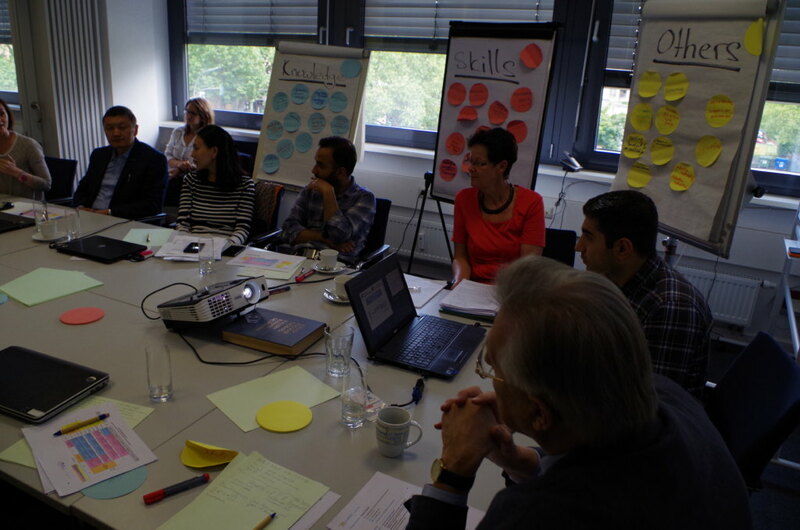 The experience of spending 4 weeks in Berlin and closely interacting with researchers from different countries will certainly not only enhance the academic competences of the EUCACIS fellows, but also contribute to a better intercultural understanding.